Quickly you are able to transform the form of energies, from frustration, rage, grief (negative) to inspiration and motivation, (positive) and hence are one of those people who have experienced the dark as well as the brighter phase. Heart breaks are indeed necessary to build up into a stronger self. 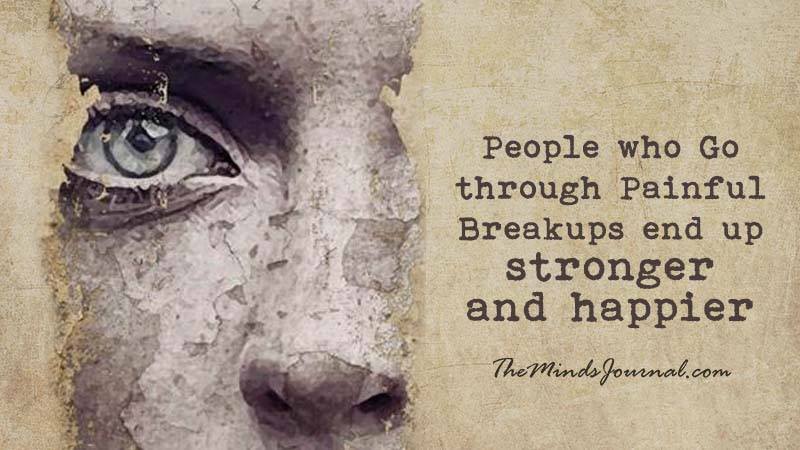 Stephanie Humble check this out ‘apparently people who go through painful break ups stronger/ happier’. I wish getting them to bugger off and leave your life alone was as easy as the breakup.